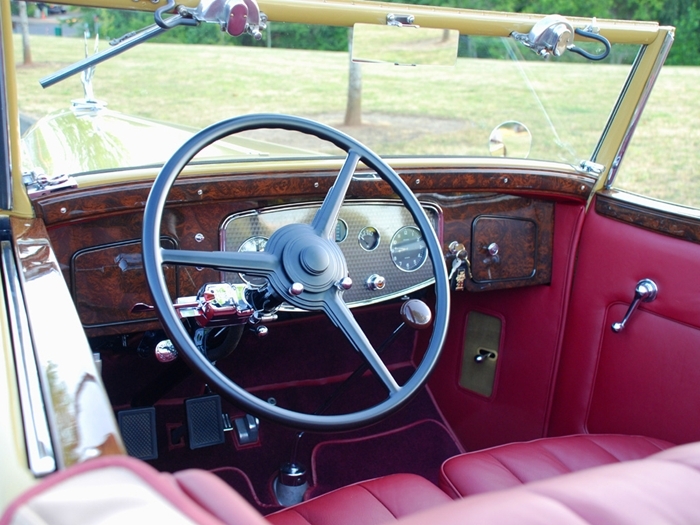 Knowing you’ve made a good investment is one of the joys of owning a collector car. After all, antiques, classics, and muscle cars don’t usually depreciate as new cars do. In fact, they may appreciate from year to year, becoming an enjoyable part of your financial portfolio. As with any investment, the key to success is making an informed purchase. That means doing some research before you reach for your checkbook. 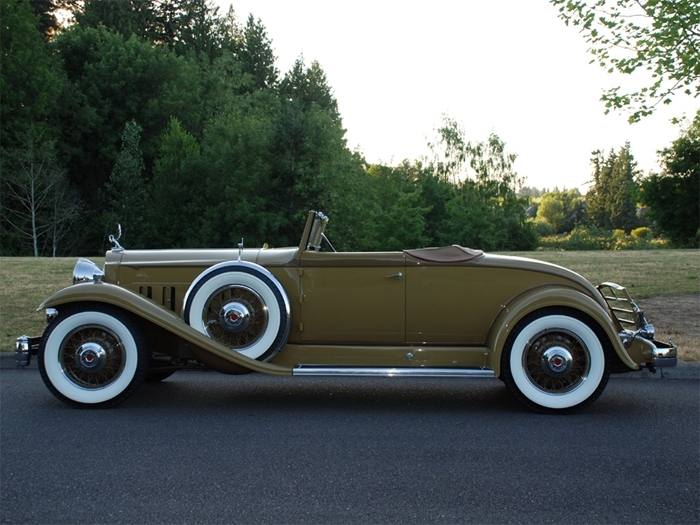 Ken Krolikoski did just that before buying his 1932 Packard Deluxe Eight Coupe Roadster. Knowing which years and models fetch the highest price is extremely important, but Ken found it also pays to know why. 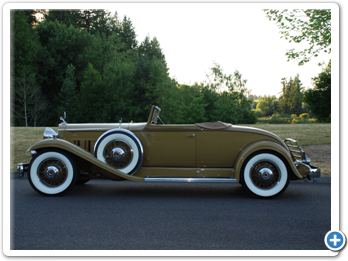 Armed with information, Ken did some shopping and found his ’32 Packard Deluxe Eight in Auburn, Washington. “I would say it was a good driver,” said Ken. “A lot of it was still original. It had the original dash, chrome, headlights, and rear carpet. The paint job was done in 1994, and has held up very well. 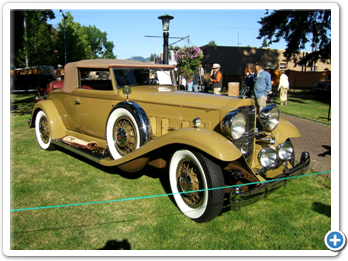 The first year I owned it, I re-chromed the side mount covers and showed the car at the Forest Grove Concours d’Elegance. It won first place in its class. 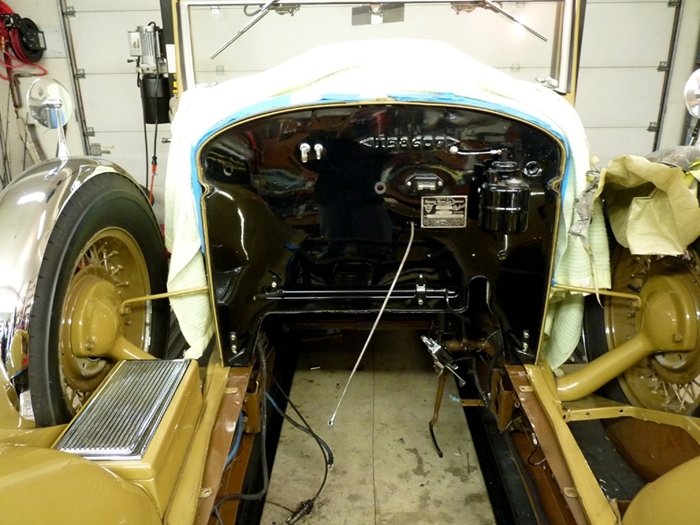 “The next year, I restored the wood grain dash and trim, installed a new wiring harness, a new leather interior, refurbished dash gauges, a new top, and re-chromed the headlights. Before long Ken turned his attention to the car’s mechanical condition. 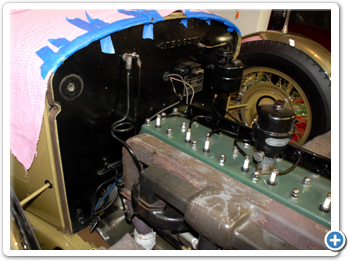 Currently Ken has the front end removed from his car and is waiting for the completion of a total engine rebuild. The 385 (384.8) cubic inch L-head, straight-eight engine produces 135 horsepower and is coupled to a four-speed transmission. This Packard is obviously getting special treatment and deserves every bit of it. 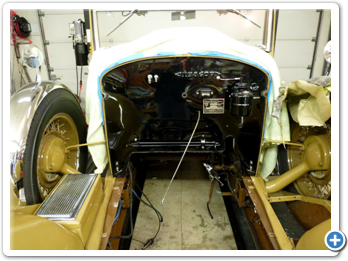 In the 1930s, and before, a common manufacturing practice was to build car bodies out of metal over wood. 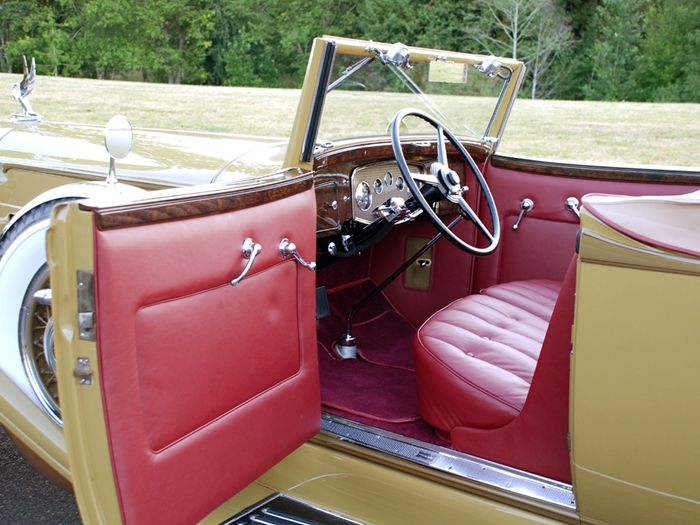 When Ken had his Packard reupholstered, he could see the car’s wood framework. 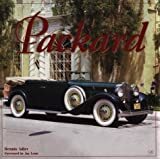 The Standard Catalog of American Cars 1805-1942 states the 1932 Packard Deluxe Eight had a top speed of 85 miles per hour. Ken wants his engine to last and plans on a much more conservative rate of speed, in part because the car has mechanical brakes. 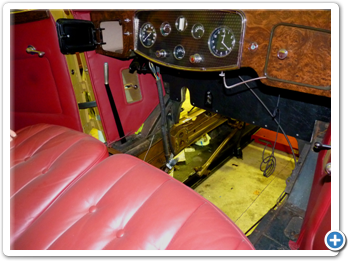 Ken’s future plans are to continue taking his Packard to car shows and on tours. He’s a firm believer that cars should be driven and not just used as a show piece for your garage. And someday he may even change the color. 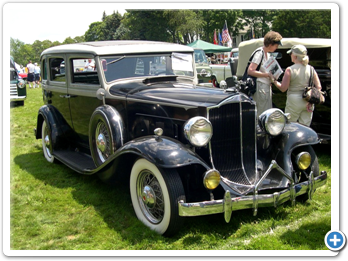 In June 1931, Packard introduced its Ninth Series line of automobiles, including the Standard Eight, Deluxe Eight, and Individual Custom models. In an effort to boost sales, as the country entered the Great Depression, the automaker introduced two mid-year models: the 900 (“Light Eight”) and the “Twin Six” (V-12). With a base price of $1750, the Light Eight was a truly affordable Packard, $735 less than the Standard Eight five-passenger sedan. 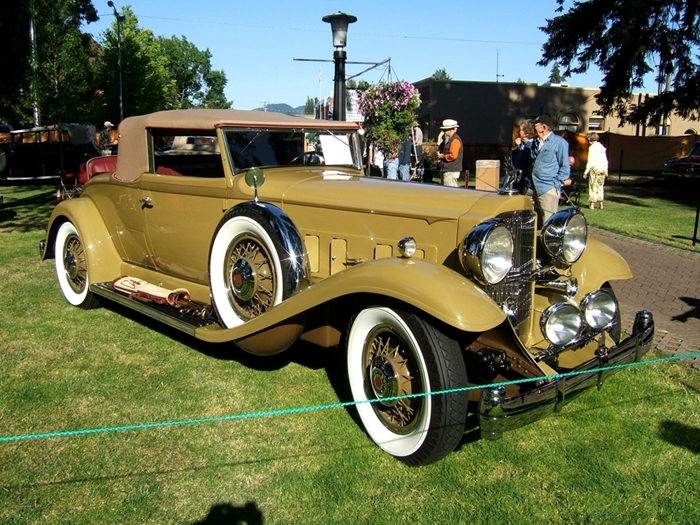 Granted, Ford’s 1932 V-8s cost only $460 to $650, but in the luxury market, the Light Eight’s price was compelling: Entry-level Cadillacs and Lincolns were nearly $3000. The new Packard Light Eight is a strikingly handsome car. 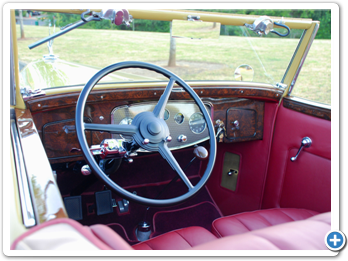 In appearance it belongs unmistakably to the distinguished Packard family. And, in addition, it is smartly new in its youthful grace of line and proportion--as is well illustrated by the popular Convertible Coupe below. 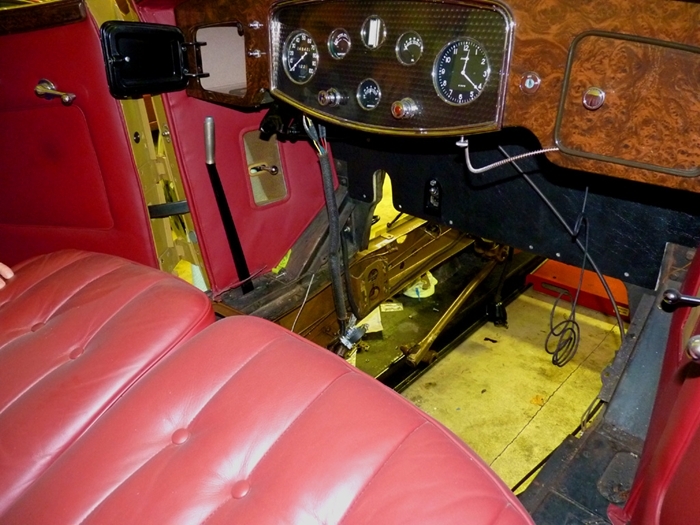 When you inspect the Packard Light Eight, you will be surprised at its size and roominess. It is a big and substantial car, with wheelbase of 128 inches. It is “light” only in comparison with other, larger cars of the Packard line--the Standard Eight, Eight DeLuxe and the new Twin Six. 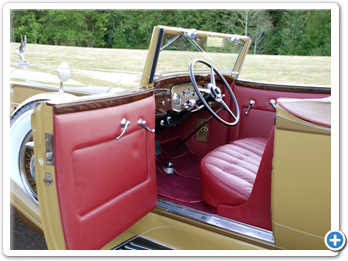 Richly appointed and upholstered, truly advanced in all mechanical features, the Packard Light Eight now offers the luxury of fine car transportation to motorists who have been accustomed to paying from $1500 to $2000 for their cars. For here is an eight--“Packard” in personality, prestige and performance--factory-priced at the astonishing range of $1750 to $1795. 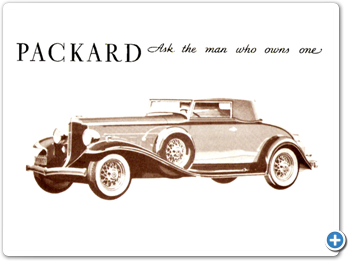 Before buying any car see and drive the Packard Light Eight. You will thrill to its velvety, 110 horsepower motor, it Silent Synchro-mesh Transmission, quiet in all three speeds, its simple safe Finger Control Free-Wheeling. 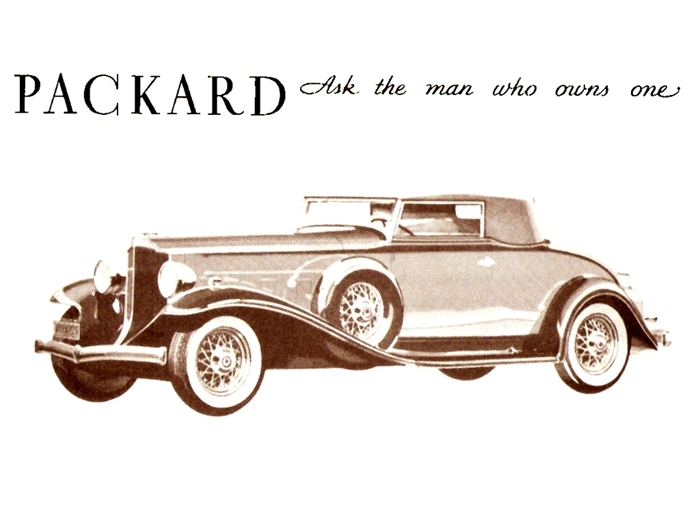 Why not take your old car to your Packard dealer today? He will allow you all that it is worth--and, if you wish to buy it out of income, you will find the payments surprisingly small. ...we decided to do a daring thing. We decided to build a car that ought to sell for $2200 and to boldly offer it to the public at a medium car pride, in the hope and belief that the public will appreciate what we have done and will learn the difference between the quality characteristics of our Light Eight and other cars. And we counted on your enthusiasm being such that you could carry the message home with conviction...If the volume-response is not satisfactory, we shall not be able to keep the price at the figure we shall announce. We have arbitrarily priced it where it should sell in large quantities at a profit to you, even in these times. The uncertainty, and I frankly admit it, is whether it can be sold at its price at a profit to the company. The experiment failed, forcing Packard to increase the price by $145 at mid-year, discontinuing the model line at year’s end. 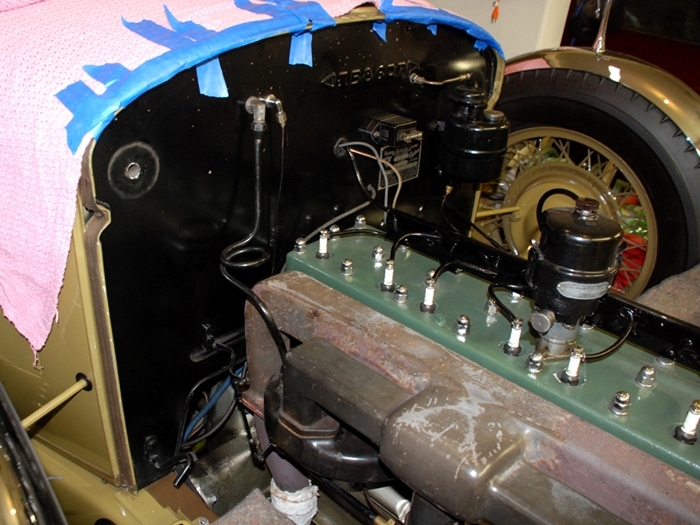 At 445.5 cubic inches, the Twin Six would develop 160 horsepower and would achieve speeds of 100 miles per hour. 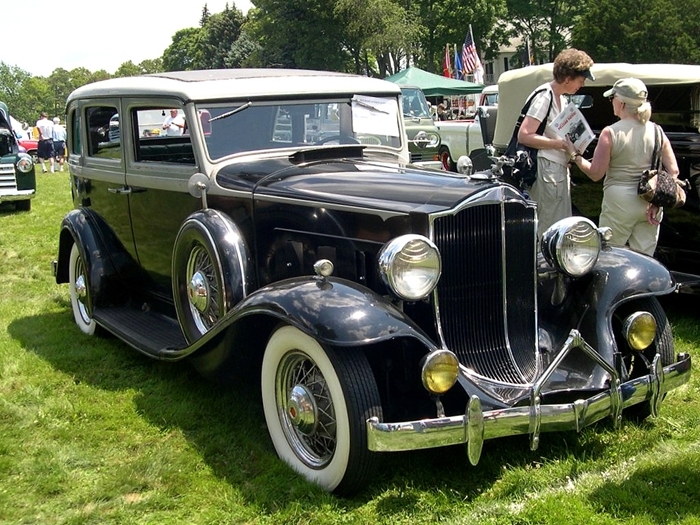 The Twin Six model designation would last just one year, renamed as the Packard Twelve (1933-39). According to the Standard Catalog of American Cars 1805-1942, the 1928 calendar year production total for all model Packards was nearly 50,000. This number dropped to under 10,000 for the 1932 and 1933 calendar years, and fewer than 7000 in 1934. The ironic fact that these were (arguably) the most beautiful Packards ever, could not outpace the realities of the depression.